Carolyne lived with her mother who worked as a dressmaker. She doesn’t know anything about her father and has no brothers or sisters. Three years after her mother remarried, she died in childbirth and after one year her stepfather sent her to live with her maternal grandmother since she was not his child. Her grandfather was ill and unable to work. They lived near the river and grew vegetables for food. Carolyne fetched water and helped with cleaning and gardening in the shamba. Carolyne attended elementary school during this time but did not get high enough marks to be sponsored for high school. High school is not free in Kenya. After finishing 8th grade, she was hopeless, thinking she needed to depend on herself for support as her grandmother was overwhelmed. She thought about looking for a job, perhaps teaching in nursery school, in order to leave her grandmother’s home and because she had no hope of attending secondary school. A neighbor told her about New Dawn Secondary School, where she was subsequently accepted and has gratefully thanked God for the opportunity. Carolyne knew Jesus as her Savior before she came to New Dawn. She prayed to God and attended church regularly. She prays for her sponsor. Carolyne states that New Dawn has brought her far from where she was, that “it is a miracle from heaven surely.” Both Pastor James, the school director, and Susan, the school secretary, have really given her encouragement and counsel. Carolyne is in her third year at New Dawn Secondary School and would like to attend university to study law and journalism. She has a passion to help those who are hopeless and desperate as she once was. If you would like to help Lucy, please provide us with your name and email and hit "SUBMIT" before clicking the "Continue" button below. You will then be asked for your payment information. 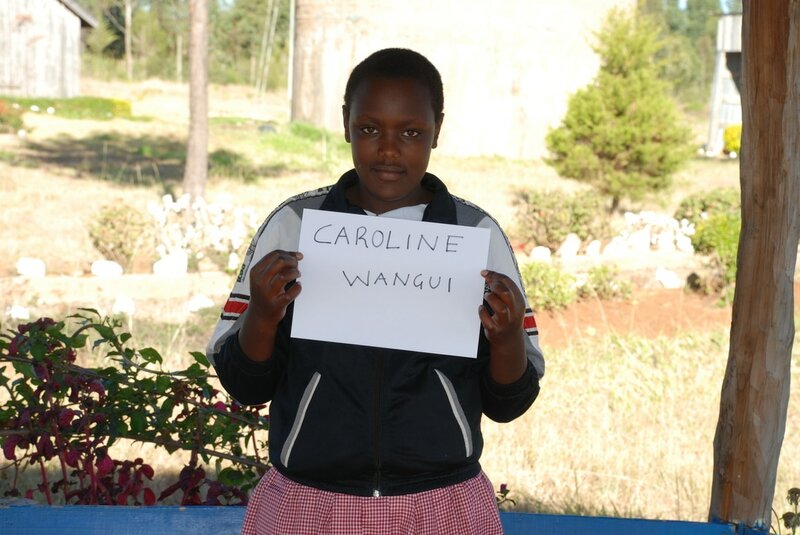 On behalf of Caroline Wangui, THANK YOU!